First, let’s break it down. Manual tells us this is done by hand. Lymph is a liquid in the body carrying cells that help fight infection and disease. It is also the fluid that can pool after receiving an injury or in a number of conditions that we think of as edema/swelling. The Lymphatic System is a system of organs, lymph nodes, lymph ducts, and lymph vessels that make and move lymph from tissues to the bloodstream. The lymph system is a major part of the body's immune system and works hand in hand with the Circulatory system (heart, arteries, veins). Drainage explains that this technique is moving water/liquid. Second, let’s shorten it to MLD from here on out. 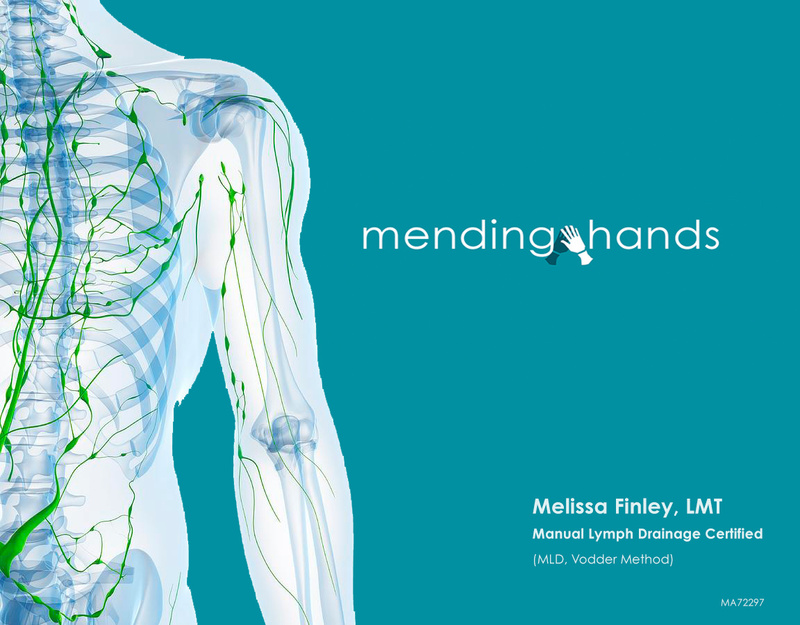 Manual Lymph Drainage also supports the body’s natural purification and immune defense process. It’s rhythmic style also has a lovely way of calming down the nervous system. Like all appointments with Mending Hands, each session will be all about YOU. If you are looking for manual care and MLD is an appropriate fit, we will discuss the treatment plan for your particular needs. I will also be happy to explain why a certain sequence will be used and as well as why this body work is a lighter, more pathway guided modality. Most of these specific stokes do not involve oil and due to the style of this work, these sessions may not be full body treatments, depending on the allotted time and need of each client. If you are interested in booking a Manual Lymph Drainage session with Melissa or have any questions, please contact melissa@mendinghands.com!